There are currently 3 users and 1133 guests online. Good red that, nice one. Interesting Alvey combo old mate has in the back ground, looks like a big spin rod he has it on, or just the picture? 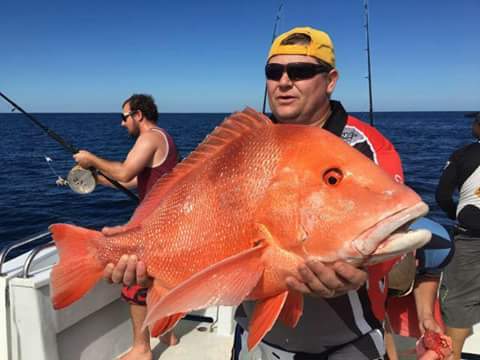 Good red and is that a charter supplied rod? Love seeing that brown smudge in the depths become red as it surfaces.